Building muscles is not as simple as just going to the gym. Beyond the workouts, you need to get a good night’s sleep giving your muscles time to repair. In addition, you need to eat healthy nourishing food to feed your body and muscles. And, you have to make sure to regularly take the best nutrients for building the strongest muscles. Beta-Alanine is a non-essential amino acid that helps prevent muscle cramps. And, Beta-Alanine does this by helping to produce carnosine. Indeed, carnosine balances the pH in muscles. Consequently, carnosine restricts the buildup of lactic acid. Most noteworthy, lactic acid buildup leads to fatigue and cramping. And, the way to get this best nutrient is by eating animal proteins and plant foods like asparagus, edamame, seaweed, turnip greens and watercress. Biotin helps convert carbohydrates, fats, and proteins to energy. Most of all, the way to get this best nutrient is by eating peanut butter, oats, egg yolk, hazelnuts, and almonds. Carbohydrates or carbs are the best building blocks of muscles. In fact, carbs support muscle growth and repair. Especially relevant, carbs help form glycogen, which helps fuel your workouts and rebuild muscles after your workouts. And, the best way to get carbs is by eating whole grains, vegetables, fruits, beans and other legumes. Calcium helps build strong bones. Also, calcium helps trigger muscle contractions. Most of all, muscles are made of two protein filaments known as myosin and actin. In fact, when muscles contract, these filaments slide over one another to convert Adenosine Triphosphate (ATP) to energy. And, the more you exercise, the more ATP your body needs to move your muscles. Especially relevant, research shows that with insufficient calcium, the body releases calcitrol. In fact, calcitrol is a hormone that causes you to store fat. Moreover, the way to ingest this best nutrient is by eating yogurt, fortified milk, fortified cereals, cheese, tofu, spinach, almonds, sesame seeds, and sardines. Copper helps protect the cardiovascular, nervous, and skeletal systems. In addition, copper also strengthens the tendons needed to lift weights. And the sources of this best nutrient are peanuts, sardines, crab, and sunflower seeds. Glutamine is a conditionally essential amino acid that helps repair muscle tissues, including the lining of the digestive tract, especially after intense workouts. In addition, glutamine helps maintain gut functions and boost your immune system. Furthermore, the best way to get glutamine is by eating chicken, fish, beef, dairy, eggs, spinach, Brussel sprouts, and fermented foods. Iron helps build red blood cells. Most noteworthy, red blood cells bring oxygen from the lungs to muscle tissue. And, without enough iron, your red blood cells can’t carry enough oxygen to the muscles and tissues that need oxygen. In addition, iron also helps regulate metabolism and promotes a healthy immune system. Finally, iron helps metabolize protein and fats for use in muscle building and repair. Most of all, the best sources of iron are dried apricots, leafy greens, lean beef, venison, poultry, fish such as sardines, eggs, and fortified whole grains. Magnesium is essential for relaxing muscles and preventing muscle cramps. And together with calcium, magnesium helps to reduce blood pressure. Most noteworthy, magnesium is found in muscles, soft tissue and body fluids. Indeed, magnesium helps muscles contract and, also boost your energy levels. In addition, magnesium helps reduce fatigue. Finally, magnesium helps improve sleep. And sleep is important because that is the time when your body works to repair damaged muscle tissue from your workouts. The way to get this best nutrient is by eating leafy greens, squash, garlic, nuts, seeds, whole grains, bran, beans, and other legumes. Omega 3 fatty acids improve blood flow and helps the heart become and stay healthy. In addition, these fats suppress hunger which helps you lose weight. Also, the best way to get these fatty acids is by eating brazil nuts, flaxseed oil, salmon, mackerel and walnuts. Potassium is a key electrolyte that helps muscles contract. In addition, potassium helps carry nutrients such as water to the muscle cells. Finally, potassium helps your kidneys flush out excess sodium in the body. Moreover, the way to get this best nutrient is by eating bananas, squash, sweep potatoes, broccoli, chicken, and salmon. Because they contain amino acids, proteins are needed for muscle growth and repair. Most of all, you need to eat proteins after a workout to restore muscle building macronutrients. Indeed, proteins are a core part of enzymes and hormones that help communicate with the body to repair itself. The best way to get proteins is from dairy, lean meats, seafood, soy, eggs, beans, and other legumes. Riboflavin helps the breakdown of proteins, carbohydrates and fat, which are transformed into energy. In addition, riboflavin supports antioxidants in the body. Also, the way to get this nutrient is by eating cornflakes, spinach, eggs, and chicken. Selenium helps boost your immune system and fights damage from free radicals resulting from weight training. And, the best way to get selenium is by eating fresh tuna, sunflower seeds, wholemeal bread, and brazil nuts. Vitamin B-12, also known as cobalamin, helps build red blood cells. In fact, red blood cells contain hemoglobin which binds to oxygen. And this oxygen is delivered to the muscles. In addition, vitamin B-12 assists in metabolizing proteins and fat. Indeed, the amino acids produced when protein is metabolized helps repair and build muscles. In the meantime, the fat is a source of energy. Finally, vitamin B-12 helps the brain and muscles to communicate efficiently, which helps muscle growth and co-ordination. Because, vitamin B-12 is an essential nutrient, you must get it from food. However, if you must get it from supplements, the recommended dosage is 2.4 micrograms per day. In any case, your body can only absorb at most 10 micrograms from a 500 microgram B-12 supplement. Most of all, the best food sources of vitamin B-12 are poultry, meat, fish, eggs, and dairy. Vitamin C is a powerful antioxidant that helps metabolize carbs for fuel and also protect the body from oxidative stress. In addition, vitamin C helps the body absorb iron. Furthermore, vitamin C helps fight inflammation in muscles due to excessive exercise. Finally, vitamin C helps with muscle repair because vitamin C supports production of collagen. In fact, the best food sources of vitamin C are green peppers, broccoli, blackcurrants, and citrus fruits. Vitamin D helps build strong bones, glutes, and biceps. Also, vitamin D helps healthy hormones like testosterone, which helps muscle maintenance and growth. In addition, Vitamin D helps the body absorb calcium and phosphorus. Meanwhile, calcium helps muscles contract. While phosphorus helps in the synthesis of ATP, the useable form of energy in the body. Most of all, according to the Institute of Medicine, you need 15 micrograms or 600 international units (IU) of vitamin D daily. Also, the best food sources of vitamin D include fatty fish like salmon and sardines, fortified yogurt, milk, orange juice, mushrooms, olive oil, sunflower seeds, and eggs. Vitamin E is a nutrient that helps protect your cells from harmful free radicals. 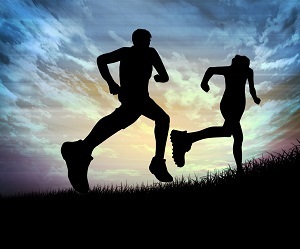 When we exercise, we create oxidative stress or free radicals. And, vitamin E helps remove these free radicals. In addition, vitamin E helps flush out metabolic waste. Finally, vitamin E needs fat to dissolve in your body. And, the recommended daily dosage is 15 milligrams or 22.4 international units for anyone over 14 years and older. Meanwhile, the best food sources of vitamin E are sunflower seeds, safflower, wheat germ oils, corn, and soybean oils. Also, asparagus, avocado, and nuts such as almonds are good sources. Finally, breakfast cereals, fruit juice, and margarine are also other sources. On the other hand, cholesterol drugs called statins may not work as well with vitamin E if you also take selenium, vitamin C, and other antioxidants. Finally, vitamin E may even interfere with cancer treatments like chemotherapy and radiotherapy. If you have any doubt, always good to check with your medical provider. Zinc enables your body to produce muscle-building testosterone. Also, zinc promotes recovery from workouts while increasing the number of infection-fighting T-cells. Most noteworthy, zinc contributes to muscle growth. In fact, the zinc in your cells is incorporated into hundreds of different proteins. And, one of the proteins regulated by zinc is the growth hormone. Especially relevant, this growth hormone promotes protein synthesis in muscle cells. Therefore, healthy growth hormone is essential for muscle growth. If you must, according to the Institute of Medicine, men should take about 11 milligrams and women about 8 milligrams of zinc every day. On the other hand, the best food sources of zinc include red meat, eggs, pulses, pumpkin seeds, and cheese. People have their own favorite time to exercise. The morning people prefer to work out in the morning. While others prefer to exercise around the lunch hours. And some prefer to exercise sometimes in the afternoon. Finally, some prefer the evening workout. But are there any downsides to working out in the evening hours. Some downsides include the evening workout interfering with social activities. While other downsides include the possibility that an evening workout may interfere with your ability to sleep. However, people are not all affected the same way. For example, some couldn’t care less if they just came out of a High Intensity Interval Training (HIIT) workout. They may fall asleep as soon as they lay on the mattress. Indeed, most people are able to fall asleep even after they exercise before bed. Especially relevant, a 2011 study reported that those who did 35 minutes of exercise before bed slept just as well as on those nights when they didn’t exercise. In the meantime, the National Sleep Foundation in 2013 conducted a poll of about 1,000 people. And, the poll found that 83 percent of the people who exercised (at any time of the day, including evenings) slept better than those who didn’t exercise at all. In fact, only 3 percent of the late day exercisers said they slept worse on days when they exercised compared to days when they didn’t. A 2013 Hokusho University in Japan study reported that vigorous exercise within one hour of bedtime resulted in participants taking an average 14 minutes longer to fall asleep. Especially relevant, the participants in the study were 12 healthy males. The study pointed out that vigorous exercise created a large physiologic excitement, likely due to release of adrenaline, delaying the start of sleep. On the other hand, researchers found that exercise could actually improve sleep by increasing the percentage of time spent in slow-wave sleep, or deep sleep. In fact, study participants, who did some type of workout within four hours of bed, spent an average of 21.2 percent of the night in deep sleep. While those who didn’t exercise only spent an average of 19.9 percent of the night in deep sleep. Especially relevant, the only exception to the above results were those doing HIIT. Seems like, vigorous exercise like HIIT, one hour before going to sleep can mess up sleep. And, this is because your heart rate goes very high during HIIT. Moreover, one hour just isn’t enough time for your heart rate to come back near its resting rate. Consequently, your body isn’t as relaxed and ready to fall and stay asleep. Therefore, it’s necessary to limit the evening workouts to low or moderate intensity. In fact, researchers think that moderate intensity workouts, causes the parasympathetic nervous system to kick in. And, when that happens, your heart rate slows down which in turn, helps you relax. Because people are different, each person has to try out the intensity of the workout before bed that will allow them to fall asleep after the workout. A 2019 Australian study reported that 30 minutes of HIIT bike training had no effect on sleep. In addition, the HIIT session didn’t result in hunger pangs. Above all, the study was based on only 11 middle-age men. Moreover, the study looked at how the men slept when they exercised in the morning (6 to 7 AM), afternoon (2 to 4 PM) and evening (7 to 9 PM). Meanwhile, the study found sleep time was shortest when the men exercised in the morning. Next, the sleep time was the longest when the men exercised in the afternoon. Finally, the sleep time was somewhere in the middle when the men exercised in the evening. In addition, there was only a one or two minute difference in the time to fall asleep between the morning, afternoon, and evening exercise sessions. Next, researchers found reduced levels of the hunger hormone ghrelin when the men exercised in the evening. Finally, the study reported that the men had more energy when they exercised in the afternoon or evening than when they exercised in the morning. Research on hormones cortisol and testosterone indicates that weight training in the evening is best for building muscles. In fact, cortisol helps regulate blood sugar my breaking down muscle tissue (called catabolism) as needed. While testosterone, with the help of proteins, build muscles (called anabolism). Cortisol levels are highest when you first get up in the morning and lowest in the evening. Similarly, testosterone levels are also highest in the morning and lowest in the evening. However, the ratio of testosterone to cortisol is highest in the evening. While both cortisol and testosterone levels dropped during the day, cortisol levels dropped more than testosterone levels. As a result, the evening provides a more anabolic, muscle-building environment for weight training. In fact, according to Applied Physiology, Nutrition, and Metabolism, anaerobic capacity is 7 percent higher in the evening when compared to morning. For this reason, early evening gym sessions are preferred by weight trainers. Furthermore, temperature peaks in late afternoon. And research shows that muscle strength also peaks in the afternoon almost in sync with temperature. Moreover a 2005 study found that optimum performance is towards the end of the afternoon and early evening when the body temperature is also at its peak. In fact, a study found that those who weight trained after 6 PM in the evening gained 3 percent muscles while losing 4 percent body fat. Finally, it is recommended that a carbs and protein post-workout meal be eaten within 45 minutes after the end of the weight training workout. Indeed a delay of carb consumption by as much as two hours may result in 50 percent lower rates of glycogen synthesis. On the other hand, you could eat the meal before the weight training session. In conclusion, vigorous exercise such as HIIT workouts pumps out adrenaline, just before bedtime, which may delay start of sleep. However, light or moderate intensity workout before bed likely will have minimal, if any, impact on your sleep. However, because of individual differences, the best way to determine if a workout before sleep works for you, is to experiment. Meanwhile, if you are under stress before bedtime, a vigorous workout before bed is the best thing to release all that stress, clear the mind and help you sleep. Resistance exercise is any form of exercise that forces your skeletal muscles (not the involuntary muscles of your heart, lungs, etc.) to contract. Furthermore, benefits of resistance exercise, sometimes referred to as strength training, includes building and maintaining your muscles. As a result, you look strong. Most noteworthy, strength training or resistance exercise also includes working with weights. And working with weights results in faster muscle development and growth. Moreover, strength training removes all other thoughts. In addition, executive functions are improved. These functions include focusing on complex tasks, organizing, thinking abstractly, and planning for future events. In conclusion, the many benefits of resistance exercise or strength training drives many to develop muscles, which in turn significantly helps their bodies become healthier and stronger. 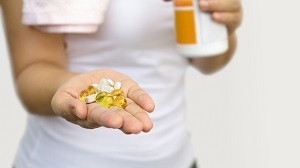 Is a Nutritional Supplement Really Good for You?